Culture is result of team collaboration. A company’s identity is fostered by the founder, but the culture only comes about once team members are in place. It’s no secret that most founders feel gratitude to their first hires because they’ve validated their passion and business by committing their livelihood to their mission. It has nothing to do with the exchange of salary but the commitment of time. Great ideas, innovation, and eureka moments can come from anywhere. In the best organizations you don’t see arrogance at the top of the organization or aimlessness at the bottom. Recently I had the opportunity to interview Zach Suchin from Brand Knew for the ongoing series: CEOs Share Leadership Strategies To Improve Your Company’s Culture. 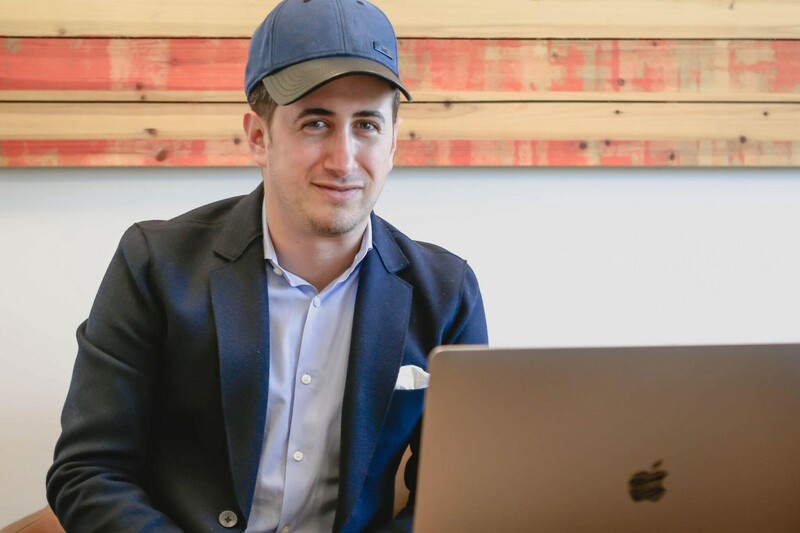 Zach Suchin is the Co-Founder and CEO of Brand Knew. When asked about his two most recent accomplishments, his answer exemplified why he was a great choice to interview on company culture. Zach spoke about his most recent hire and about how proud he is of his team maintaining the sanctity of his company’s cultural fabric. Krish Chopra: What are the 3 most important values that your company’s culture is based on? Zach Suchin: Brand Knew’s cultural fabric is woven with industrial grade C3: collaboration, curiosity and creativity. I could have included courage for good measure, but C4 is explosive and we want the creative process to be relatively focused. All members of the team know that their ideas are no worse and no better than anyone else’s. There is no sense of elitism at the higher levels of the company, and no sense of worthlessness at the lower levels. Great ideas come from anywhere, and are often fortified by diversity of thought. While I do believe that too many cooks in the kitchen can spoil the broth, a healthy ecosystem of respect and mass collaboration can generate truly great ideas — this means challenging one another to think outside of the box and collaborating with each other to bring out the best ideas. Staff meets frequently in concentrated groups, and then in company-wide forums about a variety of topics throughout the week, both client-related and otherwise. Insatiable curiosity is another key ingredient in developing good creative habits, as curious people find wonder in the mundane and opportunity in otherwise barren planes. Curiosity pursues ideas in places that others would ignore, and the strings in those shadowed nooks and crannies are the ones worth pulling towards genre-defining campaigns. We believe strongly that creativity is the currency. It’s our mantra. It’s written on the walls of our office, and more importantly, it’s written in our hearts. We genuinely believe that with creativity, you can achieve anything. Everything we do is rooted in creative. Nothing stops creativity. And if you don’t believe me, the great poet Kanye West wrote on Twitter the other day, ‘as a creative, your ideas are your strongest form of currency.’ He seems to have attended the Brand Knew school of ideology. ZS: We’re what I would call a millennial-mindset organization. I’m a millennial, running a company full of millennials. But not all of our staff were born in the 80’s and 90’s. Even those born in the 60’s and 70’s have a millennial mindset. We’re a constantly connected group of conscious global citizens, that wants to measure the impact of our work on the world around us, has unwavering ambition to effect change for ourselves and our communities, challenges status quo in pursuit of betterment and often lacks patience because of the visceral desire for momentum. Millennials are the most well connected generation in history, with greater access to information than any before it. Managing millennials isn’t rocket science — it’s a strategy built on respect and individual mentorship. I’m going to use some generalizations here, but it’s less a generation of lawyers and doctors, and more a tidal wave of start-up founders and dreamers. Millennials want to be heard… and not just listened to — actually understood. At least a quarter of my day is spent having one-on-one conversations with various members of my staff, all of whom have different individual priorities, but with a common thread that makes them uniquely Millennial. People often think of Millennials as entitled. They’re not. To borrow a term from Generation Z, they’re just ‘woke.’ They’re smart, and ready to take on the world. And they’re impatient for a future they know they can improve upon. KC: Strong company culture is something that everyone likes to think they have but very few have it. Why do so many organizations struggle with creating strong, healthy work environments? ZS: The problem is that ‘good company culture’ is subjective. There isn’t a universal standard for what constitutes healthy work environments. The prevailing concern with poor company culture stems from a variety of systemic realities. People are overworked. People are under appreciated. Management shuts down perfectly good ideas because they’re not coming from the top. Competitive environments are breeding unhealthy competition. As mentioned in the previous question, good company culture has to emanate from the top. If a CEO respects people’s opinions, respects work/life balance, and genuinely appreciates the work staff is doing, people will thrive in a productive work culture. Founders shouldn’t feel entitled. They should feel lucky that others have joined them on their journey and committed to their vision. KC: What is one mistake you see a young start-up founders make in their culture or leadership practices? ZS: As a relatively young business owner, I recognize the difficulty of riding the line between being a boss and a friend. I’ve grown to ride the line more skillfully, but the balance beam isn’t without peril. Young start-up founders often neglect this balance and become either far too friendly with their staff to demand accountability, or unproductively authoritarian towards losing the good will and respect of staff. There’s no perfect science to this balance, but I would submit that start-up founders need to come from a place of authenticity with their staff, knowing that the office isn’t a playground or a dictatorship. Many of the problems I’ve seen with businesses that have rocketed to relative success and then crashed and burned, is due to this permeating ‘bro culture.’ Founders shouldn’t feel entitled. They should feel lucky that others have joined them on their journey and committed to their vision. KC: To add to the previous question, young CEOs often have a lot of pressure to perform and often wear many hats. What’s a simple time efficient strategy they can start doing today to improve their company’s culture? ZS: Communicate meaningfully and often over email with your staff, even if it’s late at night. Providing updates when you have 10 min to draft something can go a long way in giving people a continued vested interest in the challenges and growth of the company. And it doesn’t require much time. Again, this effectively breeds sustainability, transparency, collaboration and respect. KC: Success leaves clues. What has been your biggest influence in your leadership strategy and company culture? ZS: Inspiration comes from many sources. I greatly admire the calm and collected protocols of an Obama or Tim Cook, in consideration of a massive responsibility set. And I’ve certainly built our brand ethos on the collective spirit of how I saw my mom and dad independently and successfully run their respective small businesses growing up. But the number one marker for how I operate as a leader is the notion of how I would reflect on my present day actions 20 years from now. I have this philosophy that if you don’t look back on your behaviors and decisions from 3 years ago with some sense of concern of immaturity, then you haven’t sufficiently grown as a person. Trying to put myself in the mindset of me operating 20 years from now can help aid in developing proper perspective. KC: What advice do you have for employees that have bad bosses? How can they take control and improve a bad situation? ZS: Quit. There are enough occupational opportunities out there — you shouldn’t have to suffer. You spend more waking hours at the office than you do with your family. People rarely change. Don’t be an enabler for poor leadership, no matter how many things are promised to you. The opportunity cost is simply too great. KC: Okay, we made it! Last question — what’s one unique hack you or your company does that has enhanced your work culture? ZS: We are extraordinarily protective of who we invite to join our company. Culture starts with your hiring process. We ask a series of 22 questions that almost certainly aren’t entertained in other interview processes. Each questions is rooted in trying to pierce through the candidate’s interview facade and drill down to understand who they really are and what they’re truly about. These untraditional prompts and questions make or break candidates in the room, and are the onramp for ensuring the sanctity of our cultural fabric. “Make a genuinely compelling argument for why we should not hire you.” Authenticity and creativity win the day. And this results in a corporate culture that is equal measure EQ and IQ. Note to the readers: If you learned one thing in this interview, please share! Improving company culture happens at any level in an organization.